After 1945 the perpetrators from the field of ‘racial research’ were likewise not held accountable for their involvement in the genocide of the Sinti and Roma. 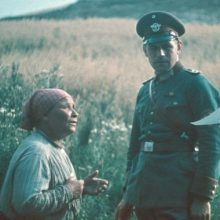 Dr Robert Ritter was the former head of the ‘Racial Hygiene Research Centre’ and the Nazi state’s foremost ‘gypsy researcher’. In December 1947 he was put in charge of the medical youth aid centre at the City of Frankfurt Health Department. There he was also able to find a position as a child psychologist for his former colleague Eva Justin. Ritter died in 1951; Justin in 1966. 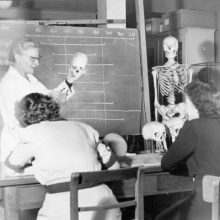 Another member of staff at the Ritter Institute, Sophie Ehrhardt, was able to make use of the genealogical and anthropological material collated on ‘gypsies’ under the criminal regime of the Nazi dictatorship to further her own scientific career. 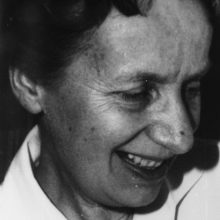 Ehrhardt became a university lecturer in 1950; seven years later she was appointed professor at the Anthropological Institute of Tübingen University. All the investigation proceedings that were instituted against the former employees of the ‘Racial Hygiene Research Centre’ under pressure from Sinti survivors were subsequently dropped.